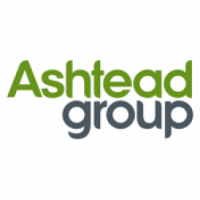 Shares in Ashtead Group plc ticker code: LON:AHT has stepped down -6.04% or -107.26 points during the course of today’s session so far. Market sellers aired on the negative side throughout the trading session. The period high has peaked at 1756.83 dropping as low as 1668.74. The total volume of shares exchanged so far has reached 838,025 with the daily average number around 2,827,400. A 52 week high for the stock is 2461 equating to 685 points different to the previous business close and a 52 week low sitting at 1668.74 is a variance of 107.26 points. Ashtead Group plc now has a 20 moving average of 1861.88 and a 50 day simple moving average now at 2007.45. Market capitalisation is now £8,003.03m at the time of this report. The share price is in GBX. Mcap is measured in GBP. This article was written with the last trade for Ashtead Group plc being recorded at Wednesday, December 5, 2018 at 12:09:21 PM GMT with the stock price trading at 1668.74 GBX. The trading price for GlaxoSmithKline plc with ticker code: LON:GSK has stepped down -2.75% or -41.6 points during today’s session so far. Market sellers aired on the negative side throughout the session. The high for the period has reached 1510.6 while the low for the session was 1457.2. The total volume traded so far comes to 2,963,188 while the average shares exchanged is 11,545,053. The 52 week high for the share price is 1648.8 which comes in at 137.8 points difference from the previous days close and putting the 52 week low at 1179.39 which is a difference of 331.61 points. GlaxoSmithKline plc now has a 20 moving average of 1584.1 and a 50 day moving average at 1551.04. Market capitalisation is now £72,865.56m at the time of this report. All share prices mentioned for this stock are traded in GBX. Mcap is measured in GBP. This article was written with the last trade for GlaxoSmithKline plc being recorded at Wednesday, December 5, 2018 at 12:09:56 PM GMT with the stock price trading at 1469.4 GBX. Shares of AstraZeneca plc ticker lookup code: LON:AZN has stepped down -2% or -124 points during today’s session so far. Sellers were not positive throughout the session. The periods high figure was 6200.3 dipping to 6059.75. The total volume of shares exchanged so far has reached 567,189 whilst the daily average number of shares exchanged is just 2,716,580. A 52 week share price high is 6432.48 equating to 221.48 points in difference to the previous days close of business and a 52 week low sitting at 4544.5 a difference of some 1666.5 points. AstraZeneca plc now has a 20 moving average of 6235.2 and now its 50 day moving average now at 6040.08. The market capitalisation currently stands at £77,744.70m at the time of this report. Share price is traded in GBX. Mcap is measured in GBP. This article was written with the last trade for AstraZeneca plc being recorded at Wednesday, December 5, 2018 at 12:10:07 PM GMT with the stock price trading at 6087 GBX. The share price for Direct Line Insurance Group PLC ticker code: LON:DLG has decreased -1.6% or -5.3 points during today’s session so far. Market sellers aired on the negative side during the trading session. Range high for the period has seen 329.7 and hitting a low of 324.85. Volume total for shares traded at this point reached 858,072 with the daily average at 7,790,690. The stock 52 week high is 397 about 65.4 points different to the previous business close and a 52 week low sitting at 307.8 a difference of some 23.8 points. Direct Line Insurance Group PLC now has a 20 moving average of 326.37 with a 50 day MA at 327.23. The market capitalisation is now £4,486.62m at the time of this report. The currency for this stock is GBX. Market cap is measured in GBP. This article was written with the last trade for Direct Line Insurance Group PLC being recorded at Wednesday, December 5, 2018 at 12:09:52 PM GMT with the stock price trading at 326.3 GBX. The stock price for Prudential plc ticker code: LON:PRU has declined -2% or -31 points throughout the session so far. Market sellers did not seem confident during the session. Range high for the period so far is 1535.5 and a low of 1498.99. The amount of shares exchanged has so far reached 1,678,330 with the average number of shares traded daily being 5,995,727. The stock 52 week high is 1992.5 about 446 points difference from the previous days close and putting the 52 week low at 1456 which is a difference of 90.5 points. Prudential plc now has a 20 SMA of 1589.9 and now the 50 day moving average of 1614.67. The market capitalisation currently stands at £39,281.73m at the time of this report. The stock is traded in GBX. Mcap is measured in GBP. This article was written with the last trade for Prudential plc being recorded at Wednesday, December 5, 2018 at 12:10:07 PM GMT with the stock price trading at 1515.5 GBX. The stock price for Bunzl plc with company EPIC: LON:BNZL has declined -1.43% or -34.68 points in today’s trading session so far. Sellers aired on the negative side throughout the trading session. The periods high has already touched 2431 dipping to 2388. The volume total for shares traded up to this point was 146,510 while the daily average number of shares exchanged is 1,128,926. The 52 week high for the shares is 2466.5 amounting to 41.5 points difference from the previous close and the 52 week low at 1918.5 making a difference of 506.5 points. Bunzl plc has a 20 SMA of 2351.55 and now the 50 day MA at 2325.44. This puts the market cap at £8,027.90m at the time of this report. The currency for this stock is Great British pence.Market cap is measured in GBP. This article was written with the last trade for Bunzl plc being recorded at Wednesday, December 5, 2018 at 12:09:59 PM GMT with the stock price trading at 2390.32 GBX. Click AHT AZN BNZL DLG GSK PRU for the full archive.